The pseudo-science, which concerns itself with the discovery of such creatures, is known as cryptozoology. Peter Dendle wrote in a 2006 article that this “study of unconfirmed species, such as bigfoot and chupacabra has been fuelled by a recent publishing frenzy of encyclopaedias, dictionaries, and guides devoted to the subject, as well as by unprecedented opportunities for enthusiasts to collect data and exchange stories via the Internet. (…). 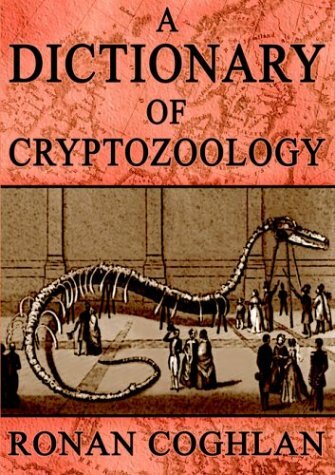 Unconfirmed species served as an implicit ground of conflict and dialogue between untutored masses and educated elite.” (‘Cryptozoology in the Medieval and Modern Worlds’, Folklore, Vol. 117, No. 2, Aug., 2006). It is thus interesting to note how cryptozoology transcends social limitations in the attraction it presents to people. The popular fascination with such legendary beings living amongst us can be traced to our childhood. Jonathan Downes, Director of the Centre for Fortean Zoology, recalls his initial attraction to cryptozoology: “The idea that there could be creatures such as the Loch Ness Monster, the yeti, Bigfoot and the giant mystery cats of Africa was fantastic; but even better was the idea that dragons and other creatures which I had read about in storybooks had some sort of corporeal reality. At the age of seven, torn between the wondrous vistas which the new book had opened up for me and obsession with the rich and curious world of C. S. Lewis’s Narnia books with dragons, unicorns, satyrs and centaurs, I knew exactly what I was going to do with my life: I was going to be a monster hunter.” (Ronan Coghlan, A Dictionary of Cryptozoology, 2004). Very much like other niche interests such as ufology, for instance, cryptozoology meets a significant demand in our modern civilised and automated lives devoid of mystique: it brings back the search for wonderous, magical adventures. In local oral and written folklore, there was varied interest and belief in the beast’s existence and a lot of it seemed to look at scientific findings for validation. Unfortunately, such evidence seemed merely anecdotal, minimal and confusing, whether it was photographic material or sonar readings. But Peter Dendle pointed out that the technology used in solving the mystery actually went towards perpetuating it: “when Nessie Hunters scour the depths of Loch Ness with sonar and provide twenty-four-hour streaming coverage of the lake surface via Internet webcam (…), they may not realise they are participating in a very ancient and socially important ritual in which communal space is defined and in which the boundaries of civilisation are constructed.” (‘Cryptozoology in the Medieval and Modern Worlds’, Folklore, Vol. 117, No. 2, Aug., 2006). As early as 1779, the philosophical empiricist David Hume observed that, “Man, it is true, can, by combination, surmount all his real enemies, and become master of the whole of animal creation: But does he not immediately raise up to himself imaginary enemies, the daemons of his fancy …?” (quoted in Norman Kemp Smith , ed. David Hume, Dialogues Concerning Natural Religion (1779). New York: Macmillan, 1947). There is thus a real need within ourselves to create mythical creatures to fear and fight. 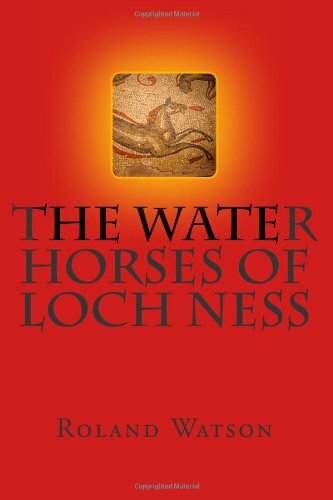 Interestingly, Swedish naturalist Bengt Sjögren traced the Loch Ness Monster back to the old folk legend of the kelpie, a creature which comes out of the lake and turns into a horse, luring tired travellers to ride on him, then galloping into the loch to devour them. Initially, this story was effective in keeping children safe from the dangers of the water; in time, Sjögren believes, that with the discovery of the existence of prehistoric dinosaurs, the kelpie was less and less horse-like and turned more into a dragon-dinosaur with elongated spiky neck and small head, not unlike the one reported by Hugh Gray in 1933. The old folk tale of the kelpie as a water horse in Loch Ness was reported in an old Scottish newspaper of 1879 (see Tim Dinsdale, Project Water Horse, 1975and Roland Watson, The Water Horses of Loch Ness, 2011), so it seems this Scottish beauty spot has always been predestined for myth-making. What a thoroughly incisive and thoughtful critique on the perpetuation of such wonderful beasts. This aspect of the human psyche no doubt contributes to my fascination for all things otherworldly. Indeed, the construction and continuation of such myths enriches us and may ensure the longevity of the fine tradition of storytelling. Regards, FREAKY FOLK TALES. thank you, FFT 🙂 we’d all like to be children for a little while longer – these stories help us achieve that!